Flight from Paris Charle de Gaulle (CDG) to Dubai International Airport (DXB) seen in the Flightradar24.com cockpit simulator. Flightseeing is a kind of sightseeing from the plane or drone. I will focus on this first. When you have a window seat you are able to have a view outside. Some people use the window seat to have a nap during the flight. This seat is far more comfortable than others. In this article I would like to describe how to make your flightseeing as much efficient as possible. In opinion of many people there is no sense to watching the ground from the plane except the high mountains with crags and tors. Usually this terrain is much higher than surroundings, in effect the haze layer is thiner making the view more clear unlike to lowland and sea-level areas. Moreover sometimes these lands are higher than planetary boundary layer, thus looks more clear in “free atmosphere”. 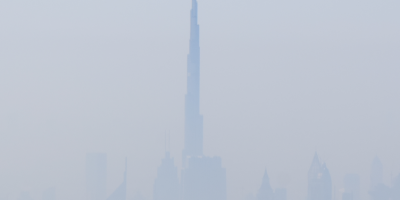 Low-altidute lands are usually covered by thicker layer of haze, which makes them bluish and not clear enough. In this case flightseeing is more difficult and may require the long-lenses to cover it better. Nowadays the flight journeys are egalitarian. Planning the flightseeing begins real, when we decide to go somewhere by plane. Mostly choosing your flight destination playing the leading role in flightseeing. However the way how will you travel by plane there depends on you. As I said in my previous article I am not a person, who waste the time during the flight. In terms of this I would like to bring you a few advises how to plan your flightseeing effectively. 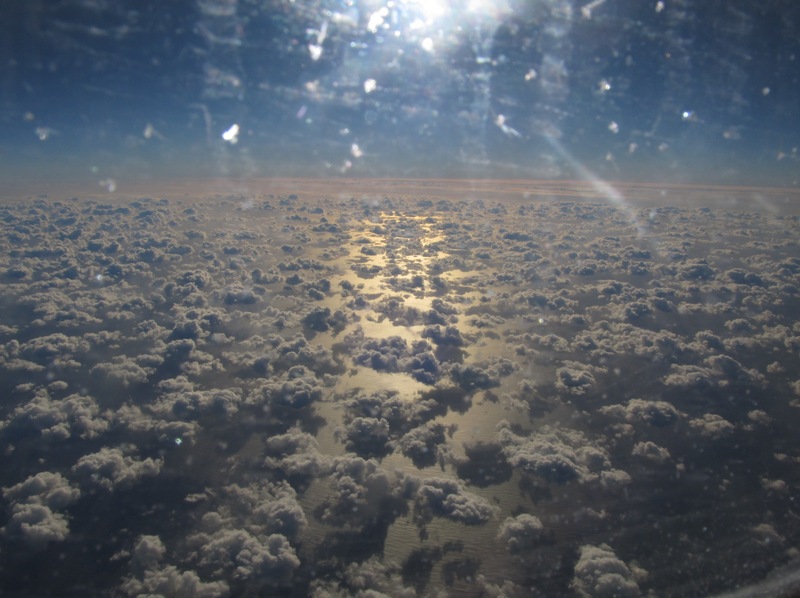 Recent articles were focused on taking pictures from the plane in general. Now is the time for explanation which places and objects can we memorize from the plane. Firstly you should consider your flying route. How to do it? Honestly you don’t have a choice on short routes. For instance when you are going to fly from London to Madrid regardless from the airlines the route is more or less the same. In case of long haul flights you can select these airlines, which offer flight with stop over. For example when you are planning to fly from London to Shanghai you have at least few options to adjust your route. Except the airlines, that offers a direct flight there are another ones, in which stopover is necessary. For example when you would like to see the Himalaya Mountains best choice will be flight with stopover in Dubai or Doha. Whole advice refers to situation where you would like to see some particular region of the World from the plane. In other case the adjustment of your flight route will depend on your duration preferences and alternatively the place, that you would like to see on your stopover. Check your flight. When you have not done it before booking probably you don’t really care a flightseeing enough. This thing is straightforward because you should get the flight number during your reservation. 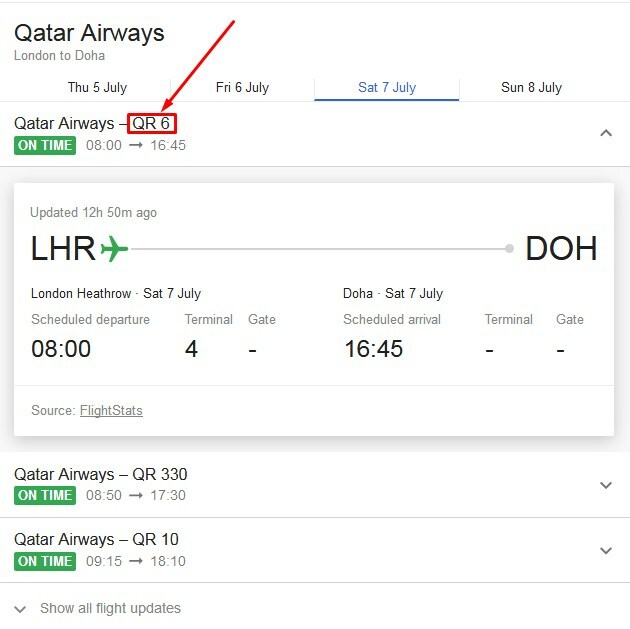 In another case you can always write down your flight (airline + airports) in the Google research and check it quickly. When you have your flight booked you can analyse the typical flight route. The best way is use the Flightradar24.com website, which include the data/history section. There you can find a huge world airlines database sorted by airports, airlines, aircrafts and flights. In the 2nd point above I have described the quickest way to check your flight number. 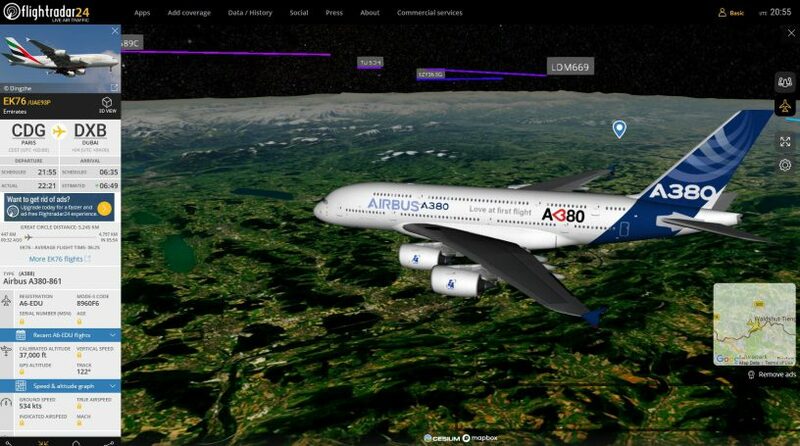 We will select it then in the Flightradar24.com service (the “flight”) section. Being there you have another 3 options, where the “Search for flight (by flight number) is the most convenient for us. You will get the 7 days flight history when put the flight number in the bracket (Pic. 4). Pic. 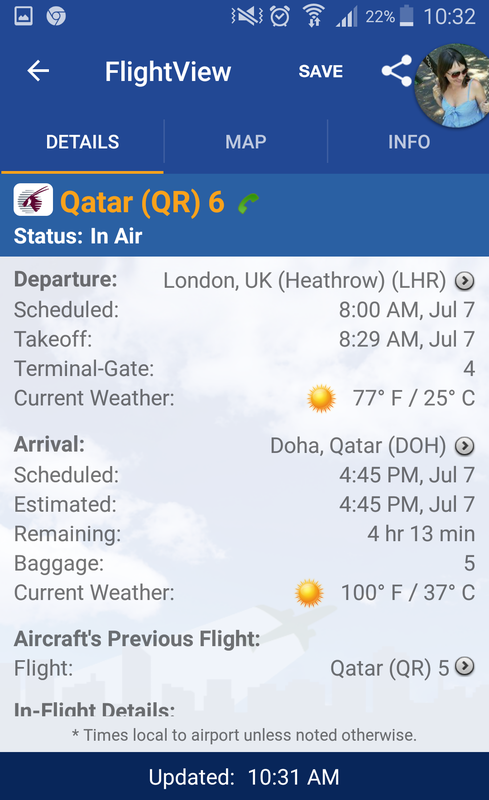 4 The list of current flights of Quatar Airways from London (LHR) to Doha (DOH). 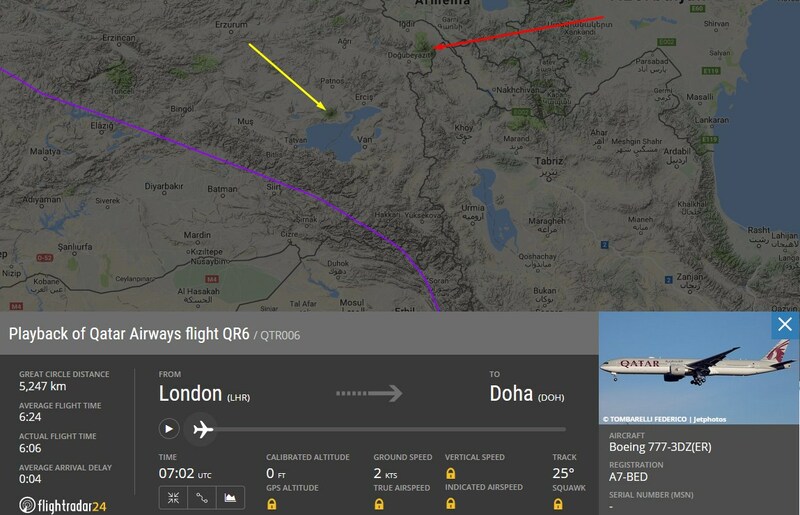 Click “Play” button to see the flight route (Flightradar24.com). For payable accounts this history includes all flights with 90 days to 1 year back. 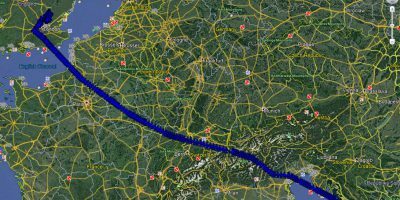 Moreover the .kml files option will enable you to check the route in Google Earth. When you prefer a basic option only (like me) you will be deprived these option. Otherwise you can try to get .kml file from the flight on another websites. It doesn’t mean that you won’t make it. Option “play” is available for everyone and gives you great opportunity to check the details of your flight route (Pic. 5,6). Pic. 5 The fragment of flight route from London (LHR) to Doha (DOH) above outh-east Turkey and Kurdistan, from where the prominent volcanoes are to be seen when favourable weather conditions: yellow: Suphan Dagi volcano, 4068m.a.s.l (100-150km distance), red: The Ararat Mountain 5137m.a.s.l (250-300km distance). Pic. 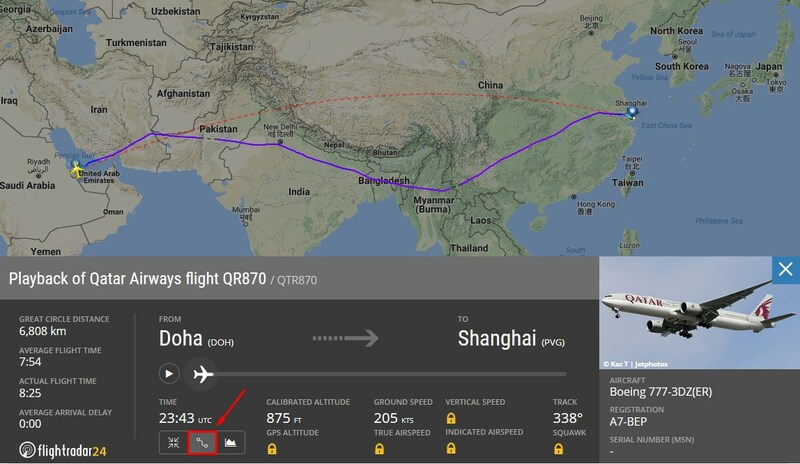 6 The flight route from Doha (DOH) to Shanghai (PVG). Yellow encircled Himalaya Mountains are to be seen from 230-300 km distance when favourable weather conditions (Flightradar24.com). 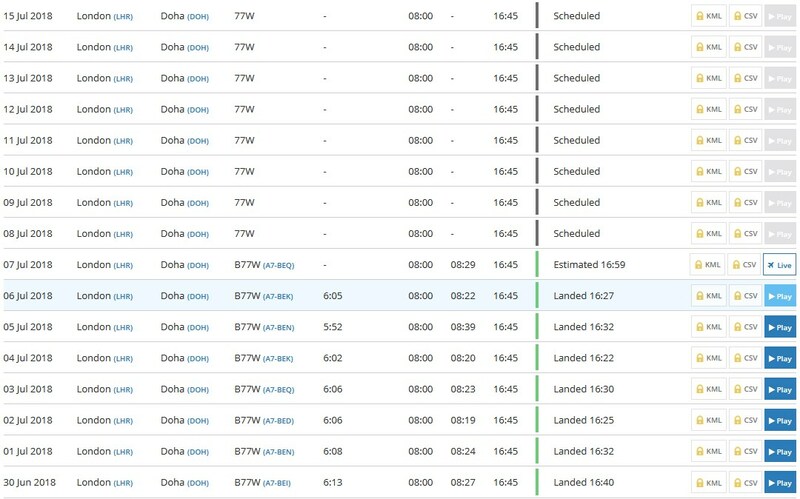 Sometimes there is no recent flights provided because the list of recent flights is updated from time to time and finally you can see the forthcoming flights instead of previous ones. If so there is an alternative option to check your flight route when select “Switch great circle route”, which should show you red dotted line on the map. This line set the shortest way between departure and arrival airport (ortodroma). The real “line” of flight can be often differ from the great circle line due to e.g local weather conditions, air traffic, etc. Is always far better when earlier flights are available to view on this portal. Then you can compare the real flight with the great circle route (Pic. 7,8). Pic. 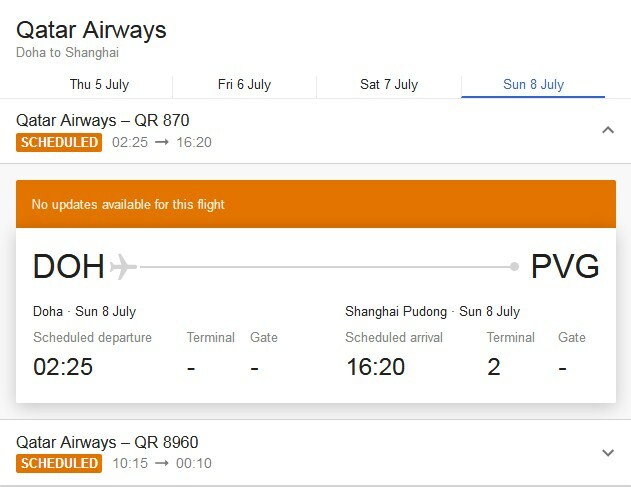 7,8 Total flight from London (LHR) to Shanghai (PVG) shown in real conditions against the great circle route (red dotted line). 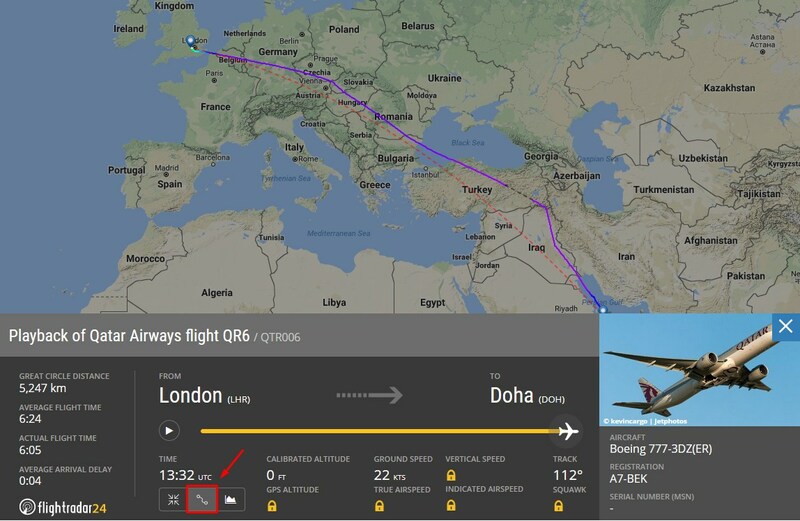 Red arrow shows the “Great Circle Route” option (Flightradar24.com). Having the problem of flight route sorted you will be able to assess what exactly will you theoretically see during your flight. Flightradar24.com is not only one Web service. There is at least few more, where you can find your flight with data history also. The alternative way to prepare your .kml file for free also exist, as I have mendioned above. I described this solution in my previous article. Nevertheless the Flightradar24.com has the biggest flight data archive. 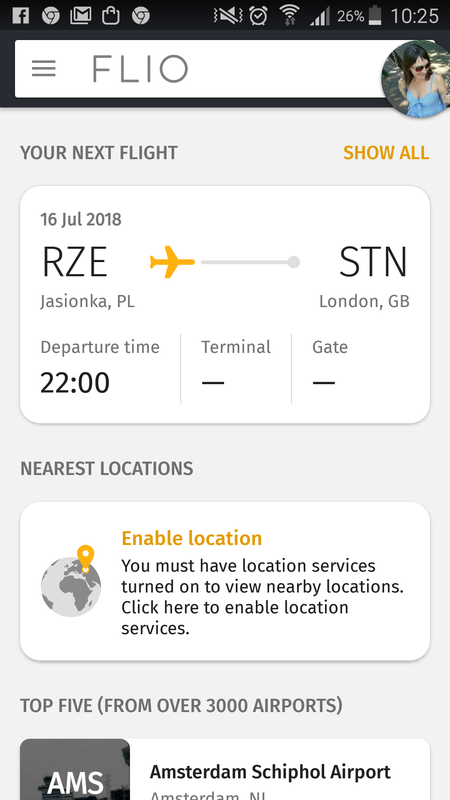 On top of typical real time flight trackers on the web you can be issued with mobile apps, that help you check the estimated flight route and track your flight in the real time, though it can be useful when you are arleady en route and have internet access in the plane (Pic. 9 – 15). Pic. 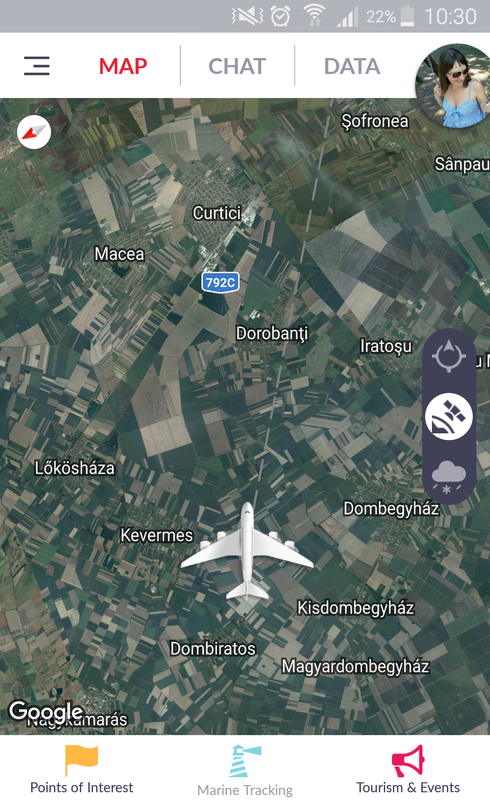 9 – 12 InflightInfo App provides a detailed real-time view of your flight, with the most remarkable touristic places in the area above you are fying (Pic.10), satellite view (Pic.11) and overall route view (Pic. 12). Pic. 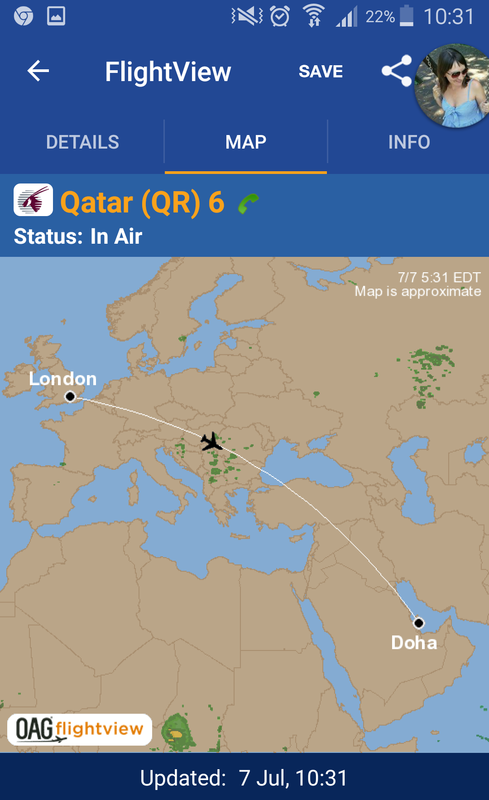 13, 14 The FlightView Free app: 13 – overall map of the flight (LHR – DOH), 14 – the flight details. Pic. 15 The FLIO App interface. Anyway there is a lot of options to analyze your flight route. Alternative option to insight your flight route is the cockpit view (Pic. 16 – 19). This option is available on the Flightradar24.com server for basic account. 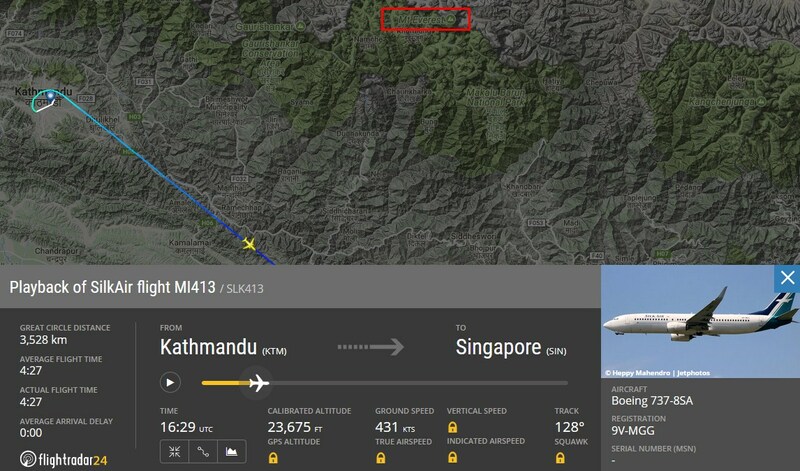 You can see there the plane location in real-time and due to this check the regions clearly visible from the passanger view. Pic. 16 The Paris – Dubai flight cockpit view with possibility to watching the Alps Mountains through the starboard (Flightradar24.com). What would you like to see? Above I have described the ways to check your route. Now you need to precise which side of view will be more interesting for you. If you are going to do round trip then fine, but if you planning to go only one way on this route or on your way down will be dark this consideration can be important. I always chose more interesting site on first route, because on the way back can be cloudy and even in daylight conditions I will see nothing. For example when I am planning to go from Amsterdam to Marseille I will choose right side first because the view can be more interesting (the Alps) (Pic. 20). Pic. 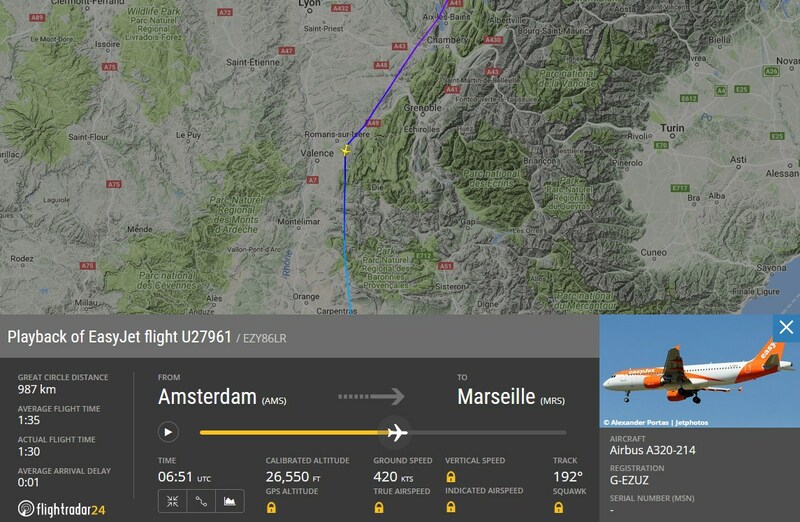 20 Possibility to see the Alps during the flight from Amsterdam (AMS) to Marseille (MRS) (EasyJet) when seating on the left side of the aircraft (Flightradar24.com). In other example during the flight from Kathmandu to Singapore I would also sit on the left side, because the Mt. Everest and Kanczenjunga are to be seen there (Pic. 21). 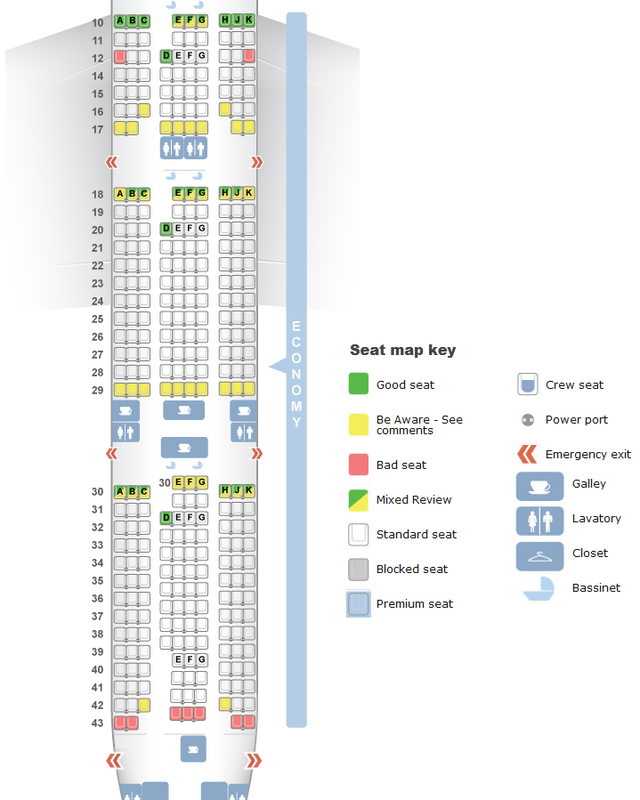 When you know what side of the plane are you interested in you must choose your plane seat. The best website, where you can check the seats properties in all types of aircraft is Seatguru.com. Is highly advisable to check the plane seat properties on this server especially when you would like to have a great view outside without the missing window (Pic. 22). Pic. 22, 23 The seat map for the aircrafts: 22 – Ryanair, 23 – Quatar Airways. 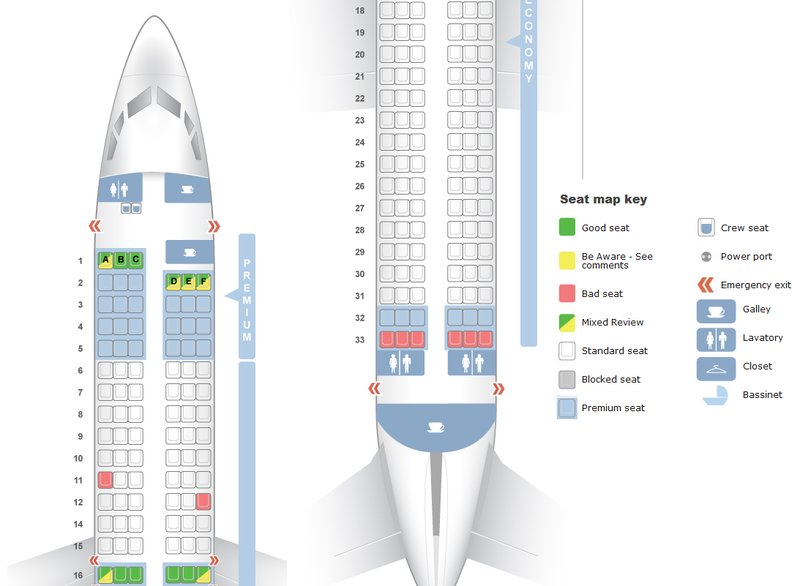 On top of that you can considerate which seat will be the best for you possibly as far as possible from the wings. To be honest the best are the seats between the front and the wings, however we should consider the safety also. 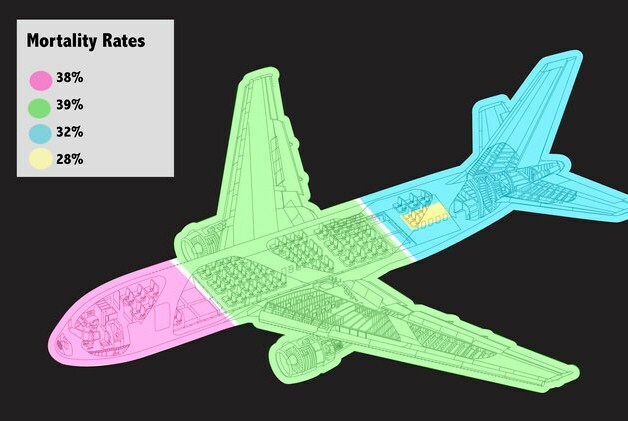 The safest seats on a plane are near the tail (Pic. 24, 25). Why the best seats for flightseeing are near the front? Because when you are sitting you eyes are headed front. Is quite difficult to turn your head back. Even if you do this you will not be able to have the same angle of view like when you are looking ahead. Hence the seats near the tail are slightly less favourable for the flightseeing purposes, although this is a small detail. The safety is undeniably much more important, so I advise to take seat near the tail then. In the close future the way of choosing the plane seat will rapidly change. Everyone will can do it in 3D mode provided by 3dseatmapvr.com (Pic. 26). Pic. 26 The 3Dseatmapvr.com offical announcement. 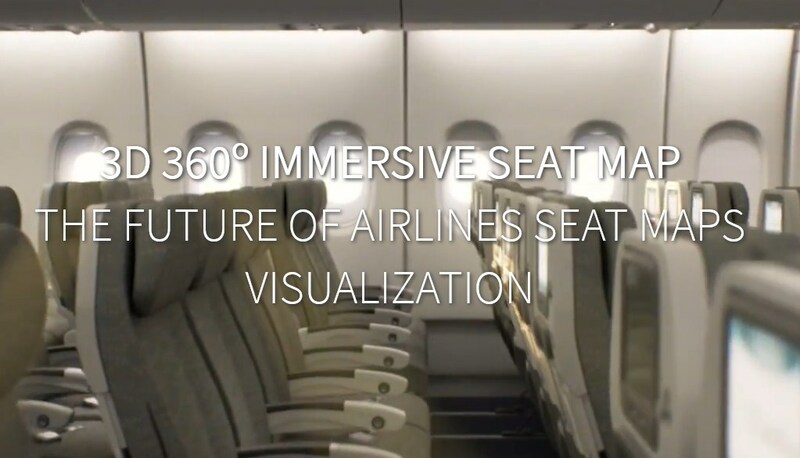 This interactive aircraft interior visualization will be installed by Emirates Airlines first. The decision about the plane seat is very important not for flightseeing purposes only. Imagine, that this is from few to even a dozen or so hours of your life. Moreover you have to pay for it, especially in low-cost carriers. Another airlines like Emirates offer you a free of charge seat allowance from 48h before your departure. Then you can find a good place for you if you are lucky. Check the weather conditions alongside your route. I not mean the real-time cloud cover and stuff like this, because it doesn’t make sense because weather is often unpredictable. I mean a long-time weather conditions and climate features for parts of your route. For example when you are going to fly above Sahara there is no point to worry about the clouds, but if you are going to fly above India in June when rainy season occurs then you should considerate is the flightseeing worth or not (Pic. 27). Pic. 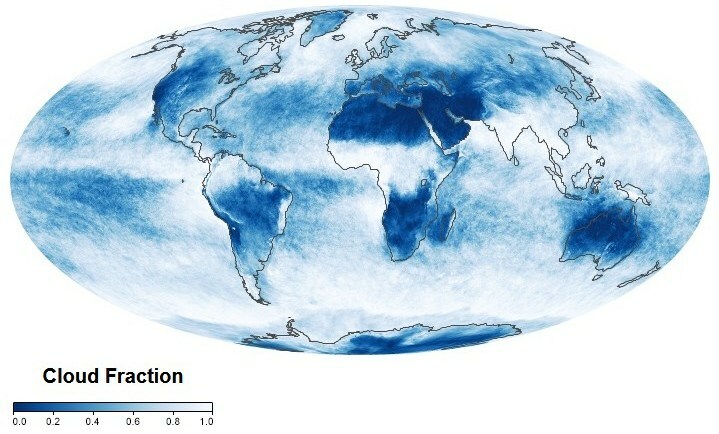 27 The cloud fraction map provided by NASA is one from at least few examples, where you can asses a long-term cloudiness conditions around the Globe (earthobservatory.nasa.gov). Many airlines determines the time for check-in at 48h before departure. 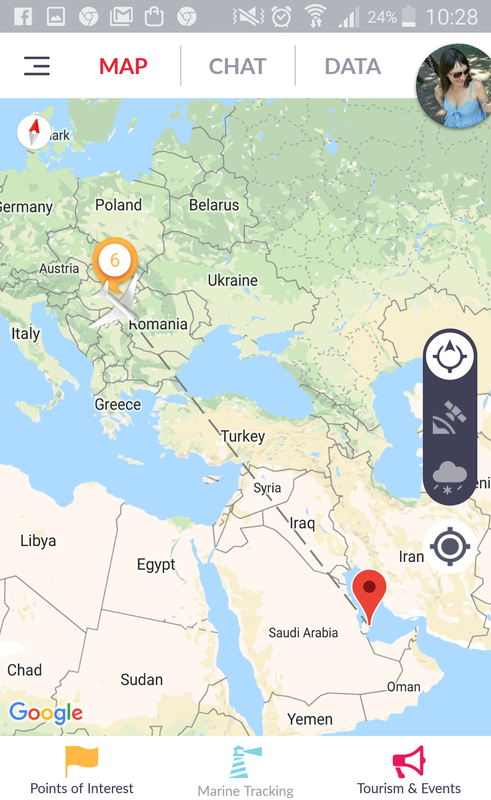 This is still the time to decide where will you seat during your journey and due to this you can check the weather forecast for the most interesting parts of your route for instance if you are flying from Munich to Milan check the weather for Alps 2-3 days ahead (Pic. 28). Pic. 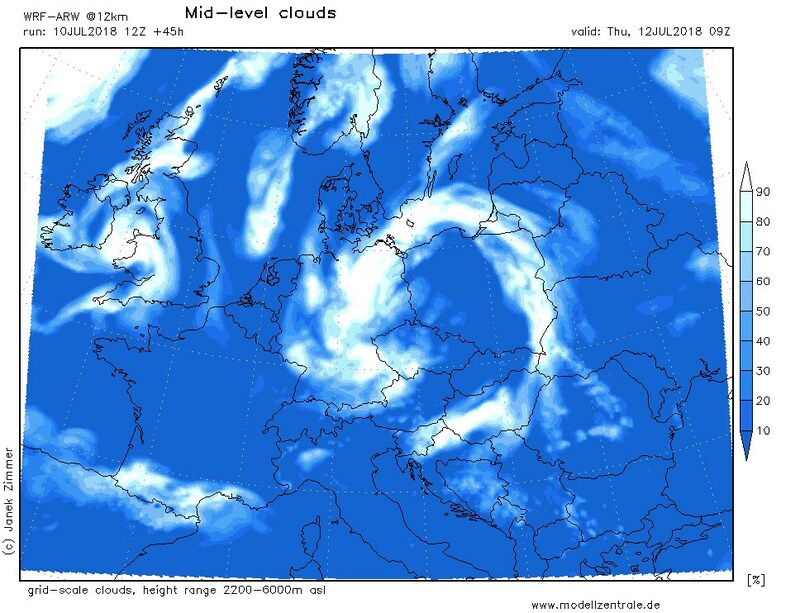 28 Numerical weather forecast is perfect about 48 hours before departure, when you can check cloudiness prediction on your flight route (modellzentrale.de). Bear in mind astronomical circumstances. Flying during the night you will see nothing, but when your seat and window is in the sunlight then can be also a bad luck. Sun on the upper troposphere is really dangerous even when you are looking through the window. I am not really mean the midday Sun but more moments, where Sun is close to set and viewing something else through the window is less possible. Pic. 29 Looking towards the Sun from the upper troposphere level can be dangerous also during the sunrise and sunset! 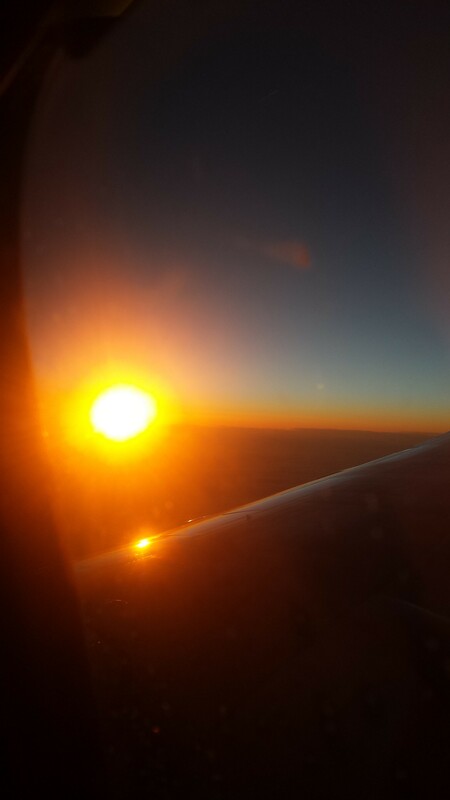 It is getting safer when Sun start to plunge behind horizon, Ryanair FR 2283 STN – WMI. Clear your window, when sitting in the plane. Sometimes the plexiglasses are not clear enough. Small tissue should be enough for you to make your view as clear as possible. When the external glass is dirty, well force majeure. When taking photos remember to place your camera far from the edges to avoid the distortion. Read a little bit more about it here. The best view is just after departure and before landing the plane (Pic. 31 – 34), that are the moments, which most of people don’t like. As the plane ascends the objects are getting smaller and smaller or diminish due to the atmosphere low transparency (poor weather conditions) to dissappear behind the clouds eventually. Pic. 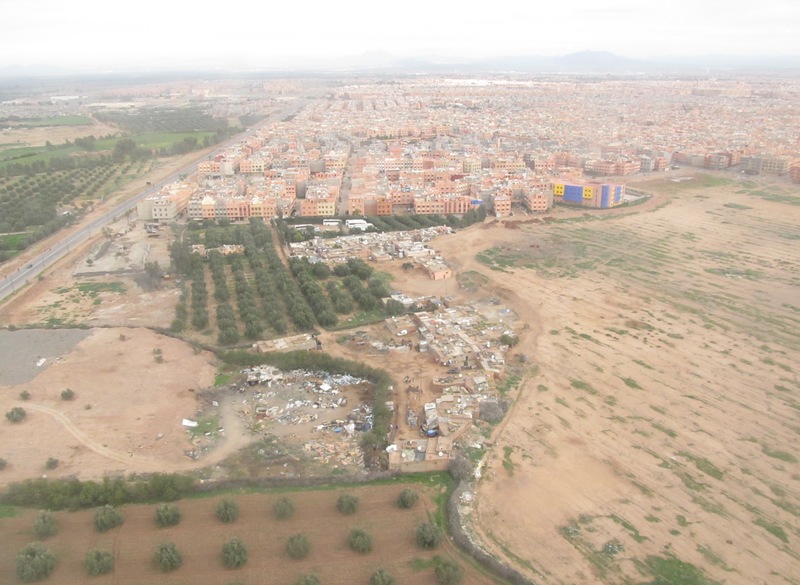 31 Marrakech seen in drone-perspective, just before landing, FR 3556 STN – RAK. Pic. 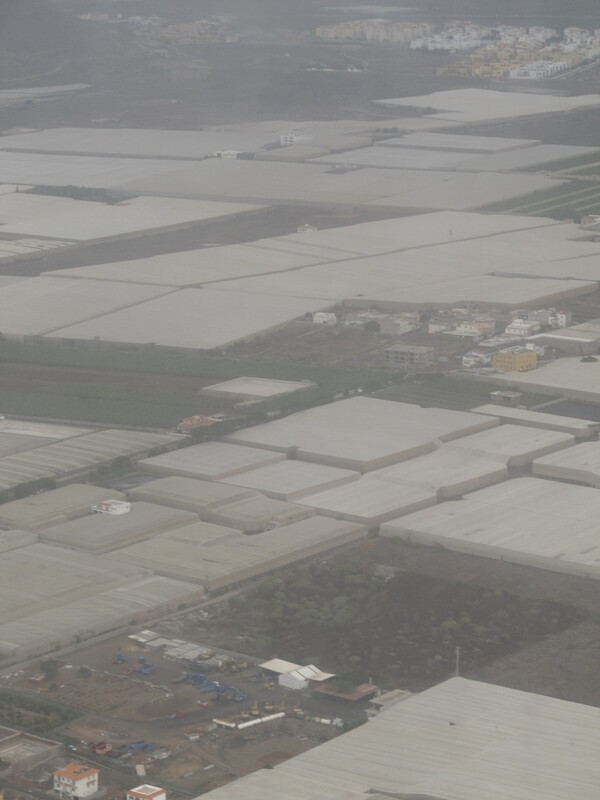 32 The banana plantations near Tenerife South Airport (Guargacho village), FR 8166 STN – TFS. Pic. 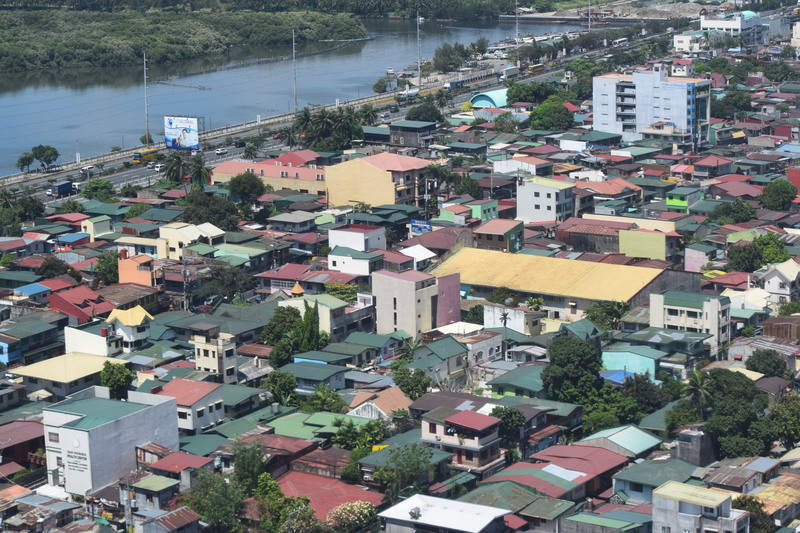 33 The San Dioniso district of Manila, 5J 582 CEB – MNL. Pic. 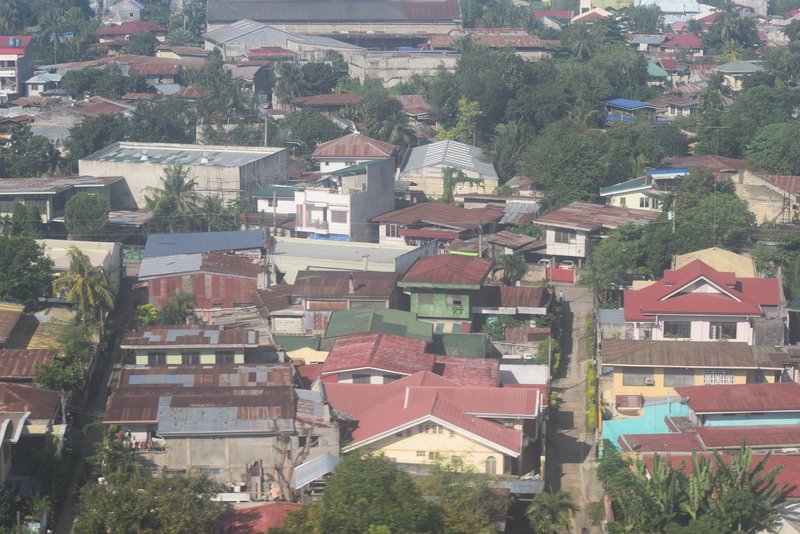 34 Tagbilaran seen in drone – perspective, just before landing, Philipine Air Asia 350, MNL – TAG. Remember about sunglasses. Even when you are sitting on the opposite side of the Sun remember, that both thick cloud layer and simple convective clouds reflect the sunlight intensively. Similarly in case of snow or ice covered areas (high mountains, Greenland, Antarctica) and also desert areas (especially sandy with high albedo) you may suffer for blindness. Pic. 35 A plane colour, snow or glatial surface combined with cloud layer can cause the blindness and watering eyes when watching through the window. It is advisable to have the sunglasses prepared for this event. 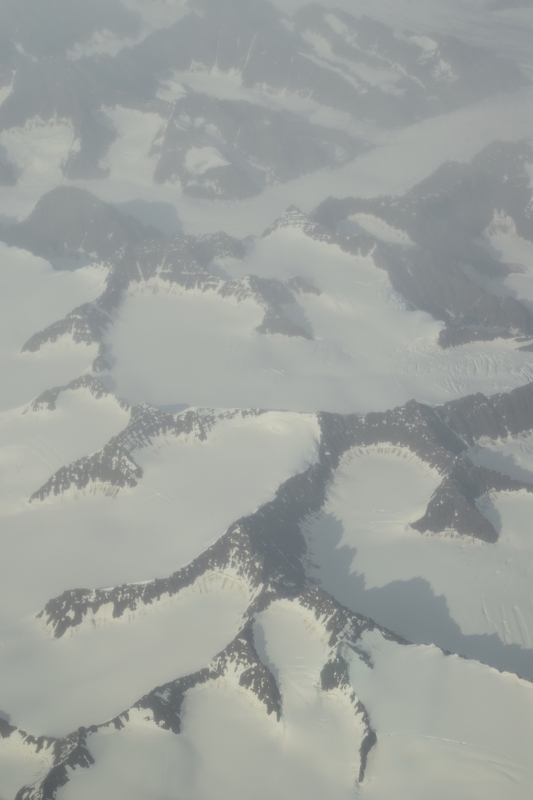 Greenland, Watkins Range, DY 7063 OSL – OAK. There are a few things, which factor into the flightseeing. 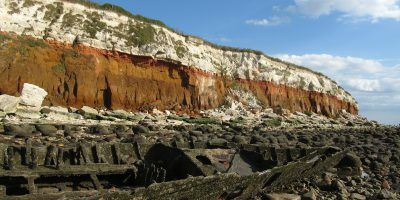 I have described the problem in general, though everyone probably will find own solutions to make this adventure better. Flightseeing is unforgivable adventure, that allows us to see the world from different perspective. I hope, that this article will be helpful for travellers, who during the flight desire something more than eating, watching movies or sleeping. At the very end I would like to summarize everything and say: consider and next check your flight route, choose the window near the tail and don’t forget your sunglasses. 1. How to capture a picture from the middle of the plane? 2. Long lens photography from the plane – how it works?